Chip-resistant formula for bolder color that just wont quit. 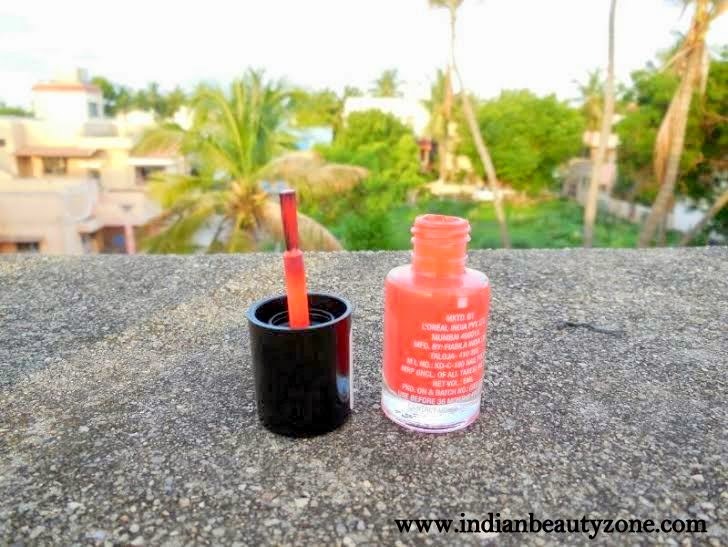 Maybelline colorshow nail paints come in a cute round glass bottles. These are tiny and cute. They look damn pretty when arranged in a row <3 the applicator is dense enough to apply smoothly and streak free. The cap has the shade name written on it. Since the glass bottle is transparent shade identification becomes easy. The texture of these nail paints are different for each shade. Some shades applies streak free while some applies streaky. This shade applies smoothly. One coat of the nail paint gives medium coverage and another one gives opaque coverage. While some shades in the range gives opaque coverage in a single swipe itself. This stays on nails for pretty long time. On my hands it stayed without chipping for almost 5 days as I don’t do any household works :P a top coat makes it look fresh for a week. I am impressed! 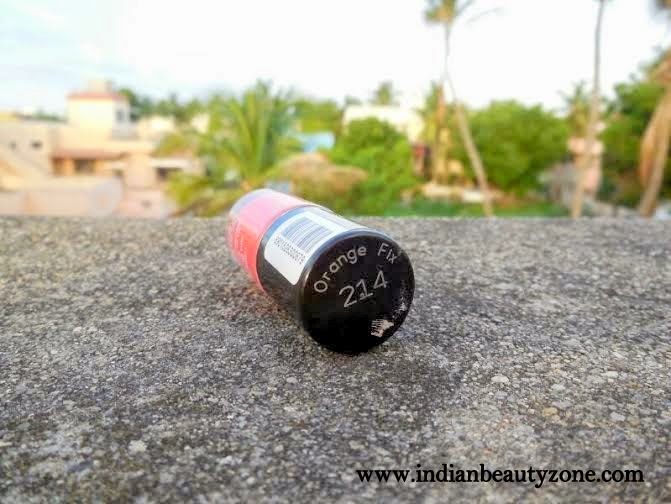 The shade ORANGE FIX is a pretty true orange shade without any shimmers or glitters. It is perfect for summers <3 it brightens up my hands and also my mood. It is that perfect funky color :D I somehow never got attracted towards orange nail paints but this shade makes me love orange colors nowadays. 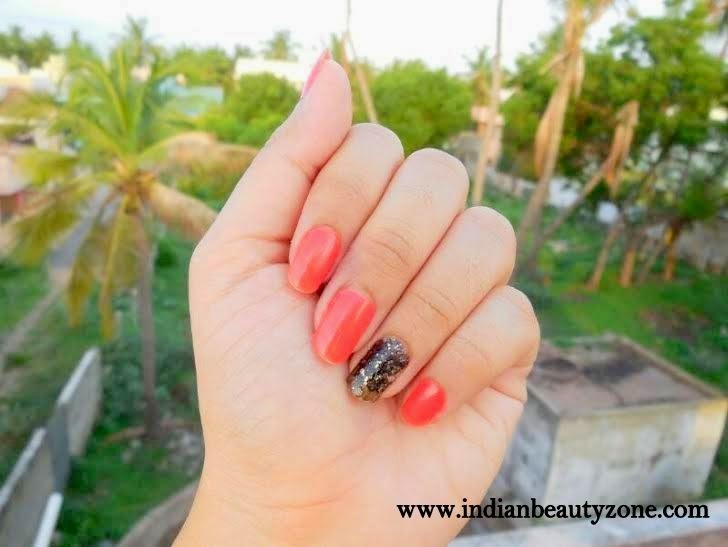 This shade can be paired with any colour outfits and for any occasions. 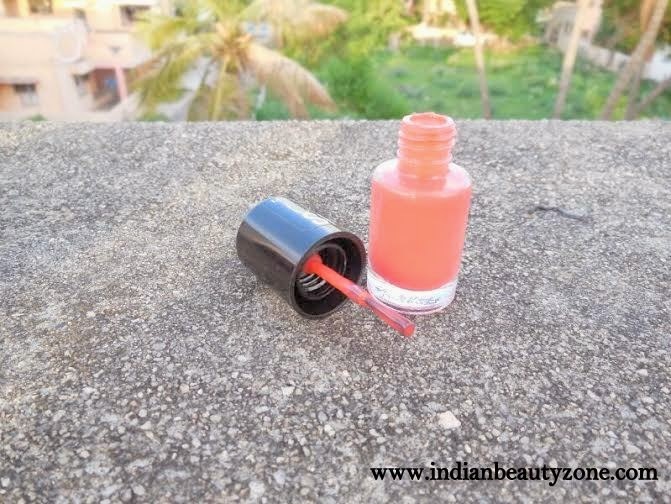 This shade will suit for any skin tones and makes your nails perfect and pretty. 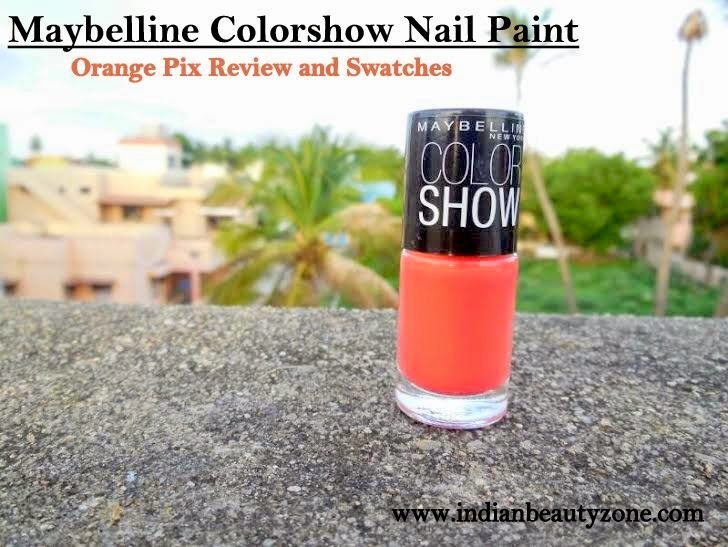 DO I RECOMMEND MAYBELLINE COLORSHOW NAIL PAINT- ORANGE FIX? Great color! I haven't tried much from this line from them too so I might have to pick up some colors now. I shall try because my current trend is nail polish. Beautiful shade.